*Limited period offer on readings* click here. 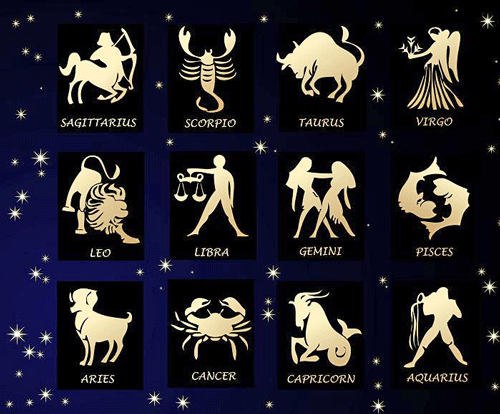 2016 is around the corner and on www.thevedichoroscope.com you can check your yearly horoscope predictions. This yearly report is of general nature and is based on Ascendent rising not on moon signs. Always remember Ascendent means you and results of planets has to be bear by you. Results of transits through moon signs have a different meaning,moon is karaka of mind and it shows how you gonna feel about these Planetry results. Judgeing transits through Ascendant signs is more realistic. These transits predictions are of general nature and your natal birth chart will have a final say on outcome of any event in your life. While judgeing transits always look for Asthvarga bindus,if bindus are more then 4 then Transit will be very auspicious for you. Less then three will prove negative and 4 bindus will give you average results. FOR BLEESING OF PLANET JUPITER, CLICK HERE. Year 2016 will start with two major planetary motions. Planet Jupiter will become retrograde on 8 January 2016 (at 7:02 AM Delhi time) and will resume its direct motion on 9 May 2016 (at 1:05 PM Delhi time). Transit Nodes (Rahu and Ketu) will be changing their transit positions on 31st January 2016 (at around 10:25 AM Delhi, India time). From 26 March 2016 to 13 August 2016 Saturn will be retrograde in Scorpio. 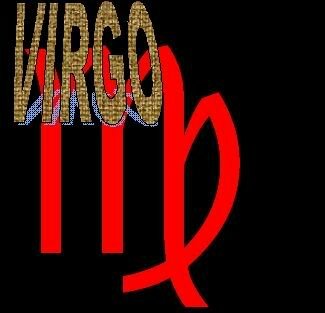 Planet Jupiter will enter Virgo Zodiac on 11 August 2016 (6:46 PM Delhi time). For Aries Ascendent natives,Jupiter will be transiting in the fifth house in Leo till August afterwards transit Jupiter will pass through your 6th house. Saturn will be transiting in eighth house in Scorpio sign. Rahu and Ketu will enter your fifth and eleventh house in Leo and Aquarius Signs respectively from 31 Jan 2016. Transit Jupiter through your 5th house will bring happiness in all spheres of all.You will be blessed with creative abilities and Jupiter transit is favourable for artist. You might get into a relationship with a person with spiritual interests. Chances of visiting religious place is high till august.During Jupiter’s transit in Virgo through your 6th house you may face some health issues and your expenditure may rise.Avoid investing money in share market try to gain through services market during Jupiter’s transit in Virgo. Chances of having arguments in your workplace is high. Transit of Saturn through your 8th house cannot be considered auspicious at all.You need to pay attention to your health & finances.Though transit Jupiter through your 5th house will save you till augsut, afterwards you need to be careful in all aspects of your life. Presence of Rahu in 5th house of Aries natives is good for people working in creative fields. RAHU in 5th can make you fall in love with a person from different caste or religion. Rahu transit is not for your kids espically during Misunderstanding at workplace may keep you disturbed. Till august planet Rahu will reduce the auspicious results of Jupiter. Ketu transit through your eleventh house will be a good transit fir you. Financial gain is seen and your friends circle will improve.Elder sibling and Children’s health can suffer during Ketu transit. Double transit of Saturn & Jupiter will act on 5th house till August afterwards it will act on your 10th house. 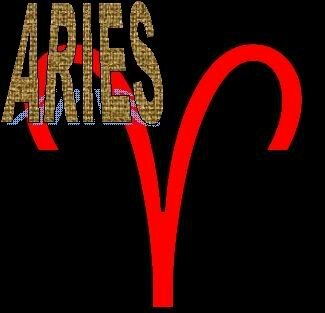 For Aries ascendant people 2016 will be an average year. Finance will be good till August but you need to manage your accounts & funds throughout 2016.Environment in workspace will be mediocre and extra efforts are required during Saturn’s retrograde motion. You will have an good start with a sudden jump in your creative abilities. For lovers,year 2016 will bring some sweet surprises espically during Jupiter’s transit through your 5th house. Rahu and Jupiter in your 5th house will result in love affair with a person from different community with spiritual inclinations. Happiness from children will be great too, although you need to pay attention to their health. Health problems can disturb you in Period between 25th March to14th August and requires caution. Elder sibling might not get good run in 2016.Carrier will be satisfactory with good opportunities for people working in service sector.People with interest in occult and spirituality will come in your friend circle. For students, year 2016 will be positive till August,chances of you opting for unethical practice during exams are high espically in months of October & November. Remedies: Apply Kesar Milk Tilak on your forehead daily, Visit Lord Hanuman Temple on Tuesdays. 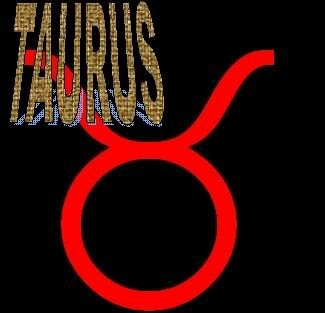 For Taurus ascendant natives planet Jupiter will be transiting through your 4th house till August, afterwards Jupiter will transit through your 5th house. Saturn will be transiting in seventh house in Scorpio sign. Rahu and Ketu will enter your fourth and tenth house in Leo and Aquarius Signs respectively from 31 Jan 2016. For Tauras Ascendant natives transit Jupiter is auspicious throughout 2016.During its stay in Leo through your 4th house Jupiter will bless you with lots of spiritual knowledge. Chances of gaining inherited property is high. Jeevakarka Jupiter being lord of 8th & 11th house through your 4th house will provide you an opportunity to meet people with spiritual interests & you will gain some knowledge which will be helpful for your soul journey. Transit Jupiter in Virgo through your 5th house will again bless you with inherited property. Though Jupiter being 8th lord can affect your Children’s health. Be careful of stomach related issues. Saturn being lord of ninth and tenth house is a Yogakarka for Tauras Ascendant natives.During its transit in Scorpio through your 7th house,Saturn will bring great results for you. Relationship with spouse will blossom, you might buy some land & may plan for aborad travel. Saturn will bless you with promotion or salary hike. Your father may also experience some financial gains. Saturn transit in 7th may not be good for health,chances of weight loss will be there. Rahu transit in fourth house is not for your mother but Rahu will bless you with some property. Rahu transit through your 4th house can make you selfish or materialistic. Aborad travel is on cards. Ketu transit through your 10th house can not be considered good for job & domestic peace. Transit Ketu can give you some health issues. Chances of transfer in job is high.There will be a sense of disinterest in you regarding job and it can result as an blessing in disguise & you may opt for business or start your own business. Double transit of Saturn & Jupiter will act on your 4th house till August,afterwards it will act on your 9th house. For Tauras natives year 2016 will be on positive tone.Movement of Rahu from 5th to 4th house will amplifie the discovery-secretive ,institutional-governance and sanctuary-isolation attributes. disguised as a protective, parental figure,seeks privilege via providing nourishment, boundaries, continuity, rhythms, protection,urgently ambitious to gain prestige via housing, deeded properties, fencing, boundaries, cultivation of lands, transportation-shells (cars, ships, airplanes etc.) Will be key focus for 2016. You might start learning esoteric stuffs in 2016 and will have inclination towards magic. Air travel is on cards for you & is a good time for those who wanted to join Airline and Shipping industry as an profession. There mite be a change of job for you in period of March to August. Finance will be good espically during the second half of 2016.Atmosphere in workplace will be good and co-operative. For lovers year 2016 will be mediocre,you may get into an secretive relationship. There can be some misunderstanding with partner in period of March to August and some dark secret of partner can come out. Health will be good overall but there can be some problems to your mother’s health. For students year 2016 can be considered as average,those who want to go for abroad for education will find support from Planetry alingments.Second half of 2016 is good for research studies. Remedies:Visit Lord Hanuman Temple on Tuesday & Saturday. Distribute blanket to some poor people. Transit Jupiter for Gemini Ascendant will be auspicious throughout 2016.Transit Jupiter in Leo will be more focused on your mental development & learning. Transit Jupiter in Virgo will be for materialistic pursuits where gain in property is seen. Transit Jupiter till August will make you travel from time to time lots,interest in art & philosophy will increase. Jupiter transit in 2016 is supportive for finding an martial alliance.With help of Saturn’s transit you may fulfill your desire for abroad travel. Transit Saturn will favor carrier advancement for Gemini ascendant this year.Due to Saturn’s blessings you will be able to execute your plans.Thoughts transit Saturn can give you some health problems. Financial gains through service & abroad sectors is possible this year.Along with Jupiter’s transit in Leo till August, you might go for abroad journey. Transit Rahu through your 3rd house will prove beneficial this year.With Jupiter in Leo till August and with support of Saturn’s transit abroad trip is for sure. Transit Rahu through your 3rd house will bless you with some business opportunity. Transit Ketu through 9th house will be an average period for you. Father’s health can suffer during Ketu Transit through your 9th house.Till August Ketu Transit will be excellent for spiritual pursuits due to Jupiters aspect on it. Double Transit of Saturn & Jupiter will act on your 3rd house till August, then afterwards it will shift to your 8th house. Matters related to lands will sort out after August 2016 or you will invest in real estate. Though there mite be some hurdles but you will progress easily. Pressure in work space would peak between 25th March & 14th August 2016. Same period is not good for health. Your networking & marketing skills will grow and will be beneficial in long term. Chances of you serving poor and needy is high and spiritual gains will be there. Overall a fantastic year for you. 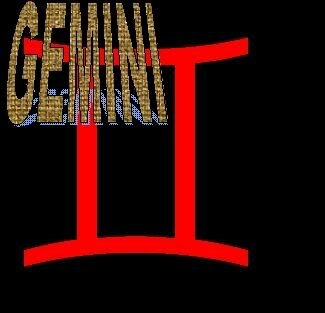 For lovers,year 2016 will be average but Gemini natives will leave no opportunities to get into relationship. Health will generally be good during 2016 but period from March to August can cause some problems in legs. Remedies: Worship Lord Sun,Visit Lord Hanuman Temple on Tuesdays. Jupiter will be transiting your second and third house of the chart giving mixed results. First half of the year will be favorable for matters related to finance but with obstructions. First half of the year is also good for family life. Financial matters can be on back seat during second half of the year and your will be more interested in religious and spiritual subjects giving you high moral and respect. Religious pilgrimage is possible in second half of the year. Transit Saturn through your 5th house is not auspicious for various aspects of of life. Being an malefic Saturn can pose danger to your child & spouse health,relationship with spouse will not be good and people might misunderstand you. All these negative aspects can show its colors during Saturn’s retrograde period from March to August. Though being in 5th house Saturn can help you to develop skill through sheer hardwork and persistence. Rahu transit will affect your finance. You may also feel irritate which may force you use harsh language. Rahu transit may also cause problem at your family front after February 2016 to mid of the year. Transit of Rahu may also cause problem at workplace. High expenditure can make you worry. If you do not have support of benefic planets in your natal chart,chances of black magic on you can’t be denied.Maternal uncle can have some problems in his life. At the beginning of year 2016, Jupiter will be transiting in your second house in Leo. Saturn will be transiting in fifth house in Scorpio sign. Rahu and Ketu will enter your second and eighth house in Leo and Aquarius Signs respectively from 31 Jan 2016. This year will a mixed bag of result for matters related to family life are concerned. Transit Rahu in second house may not allow family to settle. You need to avoid use of harsh language to avoid bitterness in family life relations. Serious differences in relationships may surface which you have to handle carefully. For lovers, this year require more dedication on your part.You might get involved with a person from other cast. Married couples may also not feel satisfied with the developments in their relations till first half of year.Second half will provide you chance to improve your relationship. Second half of year is supportive for finding a right partner,if your unmarried. Your health will be satisfactory this year but you might have eating disorder in 2016,in oder to stay healthy stay away from toxic things and eating unhealthy. This year like 2015 will be slow for students but remember to be constant as this hardwork will give you benefits in 2017. Remedies: Read durga sapthsahi on Saturdays,Visit Lord Hanuman Temple in Tuesdays. For Leo ascendent people, Jupiter will be transiting in the first house in Leo. Saturn will be transiting in fourth house in Scorpio sign. Rahu and Ketu will enter your first and seventh house in Leo and Aquarius Signs respectively. Transit Jupiter in Leo & Virgo will bless you with health and wealth in your life.Jupiter will provide opportunities for those who are willing to marry.There will be satisfaction in overall sphere of life.You attitude will be positive during second half of the year which will attract respect and honor from the society. Some auspicious ceremony may also take place at home. You may also be thinking of investing in stocks. Rahu might give you few problems related to Vatta.Relations or health of spouse may also be cause of concern.Chances of you being self-centered and behave in selfish manner is very high especially in second half of year. Transit Rahu will be very good for those who have good combination for business in their chart,as Rahu is going to push you to achieve you dreams but make sure you don’t follow unethical practices to pursue your desires. The main area where transit ketu can cause problems is your married life and health of your spouse.Be careful of business partners who may deceive you. Saturn transit will make you feel lethargic at your workplace.During Satrun retro period you need to take care of your health.Your mother health can also suffer during retro Saturn period.Saturn transit is good for those who wanted to pursue business related to providing services. First half of year will be focused on your self,you will take every matter seriously which is important for your own growth.Next half of year will be more focused on managing your daily life,social image,health and relationships. 2016 generally will be good far matters related to family life are concerned. Divine blessing of Jupiter transit in first and second house will help you to attain the peace which you were lacking since last one year. Though, presence of Saturn in fourth house may give unnecessary tensions especially between March & August.You may not be happy with the treatment of your closed ones. Your friend circle will also be helpful for you. During first half of year you will get opportunities for betterment at your workplace but at the same time you may have to work harder to get the results. There may be possibility for change of job or relocation at workplace. Ninth aspect of Jupiter will keep you optimistic in spite of some opposition at work place.Last two months should be considered positive in this regard. For lovers, this year will generally give mixed results. Rahu aspect along with Jupiter on 5th house during first half of the year will make you go for a relationship. 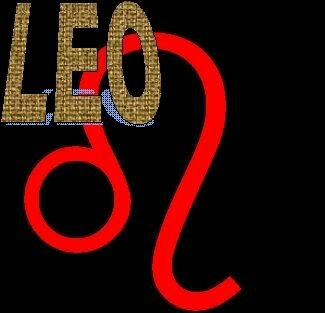 For Leo ascendent people the only area which require attention especially during the second half of year is married life. Month of August can bring some misunderstanding between you and your spouse. Ego problems may also develop between you and your spouse. December 2016 may give some more negative results. Married life relations may get disturbed during this year. Your Health will be generally good throughout the year but you may face some BP or heart related problems or stomach problems during months of November and December. Teenager should ne careful of bad company’s during second half of year and should avoid the trap which may lead you to alcohol. For students this year is good for arts & technology streams. Only the last quarter of year can hamper your studies but it will be a minor disturbance. year may not prove to be fruitful for students particularly the last quarter of the year. Overall a very good year with lots of improvement in overall sphere of life. Lucky Gemstone: Red Coral & Yellow sapphire. Remedies: Read durga sapthsahi on Saturdays & visit Lord Hanuman Temple on Tuesdays. Jupiter transit will be transiting in your 12th house till August,then Jupiter will transit over your first house.Saturn will transit over your 3rd house throughout 2016.Rahu & Ketu will be transiting over your twelveth and Sixth house respectively . During first half of year you might have few difficulties in your personal life.You mite not get proper time to spend with your family. During second half of the year thing will change dramatically and you will be able to spread love in your relationship and domestic affairs. Saturn transit will be favourable for you and will bless you courage and confidence. For those who are in skilled professionals Saturn will bless them with precision along with hardwork. Saturn can give you promotion and can make you go for religious journeys. For you transit of Rahu over your 12th house can act as an distraction in your work place.Rahu here can make your expenditures high. This Rahu transit is good for writers,healers and people who are working in Jails,hospitals, asharms. Along with Saturn Transit in 3rd house this Rahu transit in 12th can really make you excel in fantasy writing and healing profession,only if your chart have strong Sun and Mars. Ketu transit will give favorable results for you.Relationship with your mother will improve.For astrologers and healers this Ketu transit can create wonders. You will be able to repay your loans.Your enemies will think twice before going against you. Some auspicious activities may take place at home. 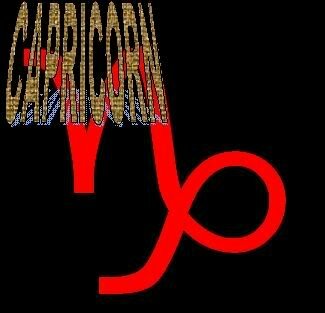 Double Transit of Saturn and Jupiter is on your 12th house till August and after August it will be shift to Capricon. During first half of 2016 you will find difficulty on family front. There will a sense of dissatisfaction in you. You will find it hard to spend some time with family and chances of going far from family is very high.Thing will improve in second half of your family where you will get good support from family and you will be able to spend time with your family. During second half of year you will develop an inclination for purchasing land or house. If you want to change your place or want to settle abroad, year 2016 will be helpful in this regard. Situation at work place will generally be satisfactory throughout the year. Hard work done in the past may bring some good results. Monetary position will also be good but higher expenditures may keep you disturbed. You will gain respect and honor in your workspace especially artists,writers, healers,astrologer or other skilled profession. Month of April is highly favourable for awards and recognition. Colleagues will also be helpful. Your enemies mite try to harm you but along with support of your friends you will escape unharmed. Finance will be good especially after august when Jupiter will be in your ascendent, all you need to care for is your unnecessary expenditures. If you are looking for loan for some project then its better you do it after August. For lovers, beginning of the year won’t be fruitful and chances of separation are there but after August you will be on track and will enjoy harmony in love. Health will be generally good throughout the year and you might join some fitness program or yoga classes to keep yourself fit. For students year 2016 is good for research and those who want to pursue education abroad time is favourable for you till august. Remedies: Worship Lord Ganesha on Wednesday and read Adityahridayam daily. At the beginning of 2016 Jupiter will be transiting in the eleventh house in Leo. Saturn will be transiting in second house in Scorpio sign. Rahu and Ketu will enter your eleventh and fifth house in Leo and Aquarius Signs respectively from 31 Jan 2016. During first half of year Jupiter will bless you with good finance though you need to do some hard work to gain favours from Jupiter. Younger sibling will excel and can go to abroad or far from home.Social circle will improve and will you will gain importance among them. Being Yogkaraka Saturn is first rate benific for Libra ascendent people and during it Transit in second house will provide you good stability in finance and family life.Saturn will bless students in their studies. Rahu transit over your eleventh house will bless you with good finance and huge gains from networking.During april & may significant rise is expected Rahu transit will also give good results this year. Ketu transit over your 5th house can harm you child’s health and same time can give you stomach related problems.Father’s health can also suffer due to ketu transit over your 5th house. Double transit of Saturn & Jupiter is on 11th house till August & then it will be on your fourth house. Year 2016 is good for your finance & for family matters. Some temporary disharmony in family can occur during retro period of Saturn. You need to pay attention towards your children’s health especially. favorable period,success and appreciations is waiting for you. Promotion also appears on the card. Support from your boss and co workers will be there.g for some extra sources of income.Heavy investment in speculation or gambling should be avoided. 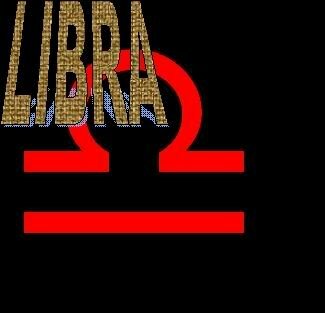 For lovers,year 2016 is average and females of Libra Ascendent should take care of their husbands health after August. Your health will be generally good throughout the year.Though some stomach related issues can bother you espically after August. For Students year 2016 is favourable and those who are studying in foreign countries will excel there. Remedies:Read Vishnu shahastranaam on Thursdays.Pour saffron mix milk on shivlingam daily. For Scorpio Ascendent natives Jupiter will be transiting in the tenth house in Leo. Saturn will be transiting in your first house in Scorpio sign. Rahu and Ketu will enter your tenth and fourth house in Leo and Aquarius Signs from 31 Jan 2016. Planet Jupiter is going to bless you with lots of good things in 2016.During first half transit Jupiter will give you a smooth Carrier and constant money flow. During second half of 2016 Jupiter in your eleventh house will expand your horizon. Your kids will excel,married life will be stable and Jupiter aspect on your seventh house will counter the malefic aspect of Saturn. 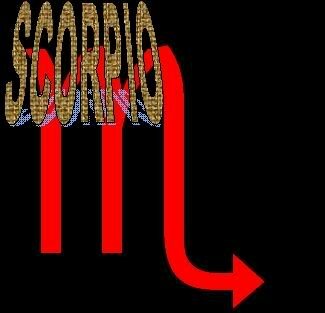 The main concern for Scorpio Ascendent native is transit of Saturn over your first house. Since November 2014 Saturn is testing you on various walks of life & year 2016 will not different. Though always remember planet Saturn always make you hard work and test your character in crises. But in the end results are always great. During 2016 planet Jupiter will provide protection from Saturn aspect on your seventh house and tenth house. 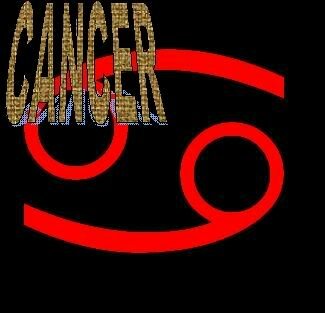 Generally planet Rahu does not give good results for Scorpio Ascendent unless it is strongly placed in your natal birth chart. Though this year Rahu transit on your tenth house will give a huge boost to your carrier. Promotion is on cards during April or August. For you transit of Ketu on your fourth house can create trouble for your mother. You need to be careful while driving too,damage to property or vehicle can happen espically during retro period of Saturn. Avoid being workaholic. Disturbances and obstacles at work place cannot be ruled out but you your dedication and loyalty you will win with flying colors. For lovers,second half of 2016 is extremely favourable. Chances of falling in love is very high. If your are already in a relationship chances of it converting into marriage is very high. Year 2016 is not good for your mental health & March to August you need to be careful about your physical safety. For Students second half of 2016 is positive and you will gain lots of concentration and will excel in studies. Avoid being lathergic during first half of 2016. Remedies:Worship Lord Saturn and Hanuman on Tuesdays & Saturdays. For Sagittarius Ascendent Jupiter will be transiting in the ninth house in Leo. Saturn will be transiting in your twelfth house in Scorpio sign.Rahu and Ketu will enter your ninth and third house in Leo and Aquarius Signs respectively from 31 Jan 2016. Jupiter transit will be favorable for you. Jupiter will push you towards religion & spirituality. You might go for pilgrimage, father health will improve. Transit Saturn is not favourable for you,your expenses will be on higher side. Chances of missing financial gain or promotion is high during first half of 2016.There will be problems to younger siblings and miscommunication between you. Transit of Rahu is not favourable for father espically after August. Chances of going aborad or long journey is good due to Rahu transit. Transit of Ketu transit will give you courage to accomplish your goals. Transit Ketu is not good for married life. Double transit of Saturn & Jupiter will act on your 9th till august then it will be on your 2nd house. Transits are indicating average domestic peace. Saturn transit over your 12th house can create problems in your relationships especially with the siblings. You will be having divine grace of Jupiter till august.Period of retrograde Saturn from March to August can result in sudden expenses and depending upon your MAHADAHSA & ANTARDASA it can be for religious ceremony or hospitalization.Those who want to go foreign countries, time is favourable for that.For people who are living in ashrams or want to live in ashrams can find support through Planetry alingment. For lovers and married couples March to August is not favourable, rest of the months will be satisfactory. Avoid unnecessary arguments with spouse. For Sagittarius Ascendent natives Saturn transit in 12th house can give you fear of unknown, pain in legs and most notably insomnia & bad dreams. You should be avoid taking unnecessary tensions & should try to plan your work accordingly. Be careful from March to August. For students year 2016 will be satisfactory but first half will be be then the later half.This year will generally give favorable results. Remedies:Apply saffron milk tilak daily & read shani chalisa on Tuesdays & Saturdays. For Capricorn Ascendant natives, planet Jupiter will be transiting in the eighth house in Leo. Saturn will be transiting in eleventh house in Scorpio sign. Rahu and Ketu will enter your eighth and second house in Leo and Aquarius Signs respectively from 31 Jan 2016. During transit of Jupiter in Leo through your 8th house things won’t go as per your plan and your enemies can harm you.Jupiter transit in Leo in not good for health too.During Jupiters transit in Virgo you will start having inclinations towards spirituality. Chances of visiting religious places is high. Transit Saturn will bless you with good things this year. Health, relationships,matter related with children’s will prosper. Period from March to August will bless you with financial gains. For Capricon Ascendent natives transit of Rahu is not good at all and you need to take care of your health & relationships. Though transit Saturn will help you during testing time of transit Rahu in 8th house. Transit Ketu over your second house can result in loss of income sources,problmes to eyes can occur.You need to avoid alcohol & other harmful substances into your body.Avoid using harsh words during Ketu transit in your 2nd house. Double transit of Saturn & Jupiter is acting on your 8th house till August then it will shift to your Ascendent. Overall this year Saturn will bless you with good finance and will save you from bad results of Transit Jupiter through 8th house. Though Rahu may harm you espically during month of July. Finance will be good in 2016 but avoid investing money in risky areas like share market. Relation with family will be harmonious but some old person in your family or from your spouse’s family can suffer from serious health problems. Avoid being strict on your kids and try not to use harsh words on them. For finance year 2016 will good,all thanks to your Saturn’s transit on 11th house though Jupiter transit over your 8th can dilute Saturn’s positivity to some extent. Atmosphere in work space will be good though promotion will come through hard work only. For Lovers,first half will not prove good for you and you need to have some patience in matters related to love. For married people first half is not good especially for women’s, your husband can go through some health problems which won’t be easy for diagnosis.In laws health should be checked properly. Saturn retrograde period can bring good news to couples who want to convert their relationship into marriage. For Capricorn natives first half of 2016 is not good for health.From August you will get some relief but Rahu transit over your 8th house can cause some hospital visits. For students,year 2016 requires more hard work in your studies avoid being lazy and plan for exams properly. Remedies: worship Lord Hanuman daily & feed crows. For Aquarius ascendent natives, Jupiter will be transiting in the seventh house in Leo till august then till December Jupiter will transit in your 8th house. 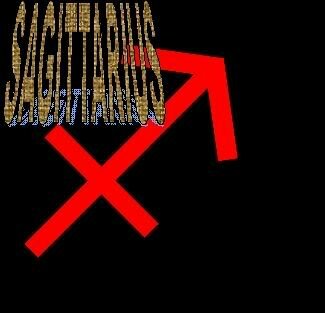 Saturn will be transiting in tenth house in Scorpio sign. Rahu and Ketu will enter your seventh and first house in Leo and Aquarius Signs respectively from 31 Jan 2016. During Year 2016 transit Jupiter will be supportive till august after that Jupiter won’t protect its significations and houses ruled by Jupiter i.e 2nd & 11th will suffer. Married life will be good till august & for unmarried people is a good time for finding a suitable match. Transit Jupiter will help businesses man till August,after August you mite get worried due to mismanagement in your finance. Saturn transit in 2016 can give you promotion & salary hike. You might turn into a workaholic person. Saturn transit is very favourable for change in location or for settleing abroad. Period of Saturn retrograde can bring change in job. Transit Rahu over 7th house can cause some disharmony in your married life & chances of having affairs can’t be denied. Rahu transit is suitable for aborad settlement. Transit Ketu over your first house can cause health problems espically when Jupiter will move to your 8th house in August. Transit Ketu can affect your children & spouse health. For people with interest in spirituality Ketu transit can work in your favour. Double transit of Saturn & Jupiter will be over your 7th house till august, after that it will shift to your 12th house. For Aquarius Ascendent natives year 2016 is favourable till august, there will be peace in your family, good relationship with spouse & with children’s is foreseen. After August due to Jupiter transit in 8th house,there can be some distrubence in your family peace espically with the elder siblings. For Aquarius Ascendent folks progress in finance & work will be there till August, period from March to August can bring some promotion & salary hike. For lovers,year 2016 is not auspicious for lovers & caution is advised.For married couples health of spouse should be taken care of,stability in marriage is seen due to Saturn’s aspect on your 7th house. Unmarried natives of Aquarius will have support of planets till August and a suitable match can come from no where provided your Dasha is supporting marriage in your chart. 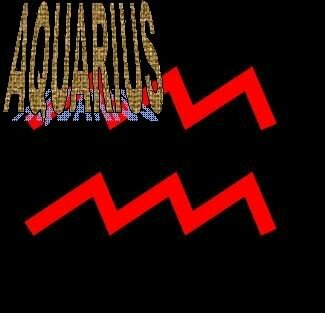 Health is the main area where Aquarius Ascendent natives should pay attention,after August there can be sudden health issues which may make you unsettling. Avoid eating outside and take care of your hygiene. For student first half of 2016 is supportive but second half can bring some distrubence due to health issues. Take guidance of elders whenever needed. Remedies:Hanuman worship daiky, read durga chalisa & Vishnusahastranaam. For Pisces ascendent natives, Jupiter will be transiting in the sixth house in Leo till August afterwards transit Jupiter will be in Virgo through your 7th house. Saturn will be transiting in your ninth house in Scorpio sign. Rahu and Ketu will enter your sixth and twelfth house in Leo and Aquarius Signs respectively from 31 Jan 2016. Transit Jupiter through your 6th house can give some health issues and disharmony in family. Though transit Jupiter will be favourable for professional especially for people working in service sector.Transit Jupiter in Virgo will be very auspicious for you. Marriage chances will be there,your health will improve and financial gains will be there. Transit Saturn through your 9th house will give you average results. Father’s health can be point of concern.Though finance will improve due to Saturn’s transit in 9th house. Younger sibling might have to work hard for success. Saturn transit over your 9th house is favourable for foreign trip & religious places. Transit of Rahu will conjunct your Ascendent lord Jupiter in 6th house and can bring some health issues. Though Rahu will bring some charm in your personality & will make your successful in your ventures. Here Rahu will amplify your chances of abroad visits. Ketu transit this can bring some conflicts in your life. Ketu will take you towards spirituality and you might feel trap between your work and spiritual pursuits. Mothers health will get affected due to Ketu transit. Overall Ketu transit in 12th house of Pisces ascendent will prove good for people with spiritual pursuits in their life. Double transit of Saturn & Jupiter will be over your 6th house then it will shift to your 11th house from August till December. For Pisces ascendant first half of 2016 will be average and you might find your self in hectic situations,some problems in health cannot be denied. There can be some distrubence in your family peace. After August you will find things starting to fall in your favour. Your health will improve & relationships will blossom. For Pisces natives finance will be good especially from August you will find some good opportunities to earn money. Atmosphere in workplace will be mediocre till August and you not find support from your collogues,but you will pass this phase will your charm.Though things will change from August & support from colleges and bosses will be there. You may face some obstructions at your workplace during first half of the year. Colleagues and seniors may not be supportive. Some of your colleagues at workplace may conspire against you but you will manage the situation and they will not be able to harm you. There are chances of transfer. You will also be able to win your opponents who may be working against you in social circle too. Chances of transfer can not be denied. For lovers,year 2016 will be mediocre till August and for married people chances of minor arguments cannot be denied.With transit of Jupiter through your 7th house things will be in your favour and relationship with your spouse will improve. For students,year 2016 is not favourable and lack of concentration will be there.Your health can be a cause of distrubence in studies. Year 2016 is good for Pisces natives students who want to pursue their education abroad. Students of religion,astrology or any other mystic subject will find extra support from Planetary alignments. Remedies: Read Vishnusahastranaam daily,apply saffron milk paste on forehead (tilak) and worship lord Hanuman on Tuesdays and Saturdays.